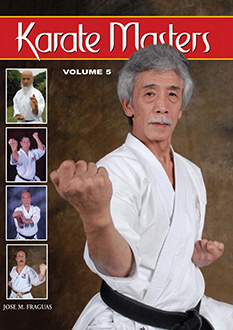 After the acclaimed success of the “Karate Masters” series, the author presents “Karate Masters” Volume 5. 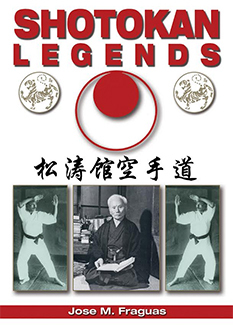 With a new repertoire of historical figures, such as Hideo Ochi, Yoshimi Inoue, Sadaaki Sakagami, Masaru Miura, Genzo Iwata,, Katsuhiro Tsuyama, Yasuyoshi Saito, Nobuaki Kanazawa, Jerry Figgiani and legendary Okinawa masters like Kensei Taba, Takeshi Tamaki, Masahiko Tokashiki and Toshihiro Oshiro, amongst others, the many threads of traditional karate learning, lore, and legend are woven together. In this final volume, new interviews have been gathered to present an integrated and complete view of the empty-handed art of fighting, philosophy, and self-defense. This volume contains intriguing thoughts, fascinating personal details, hidden histories, and inspiring philosophies, as each master reveals his true love for the art and a deep understanding of every facet associated with the practice and spirit of the Japanese and Okinawan art of Karate-do as a way of life. 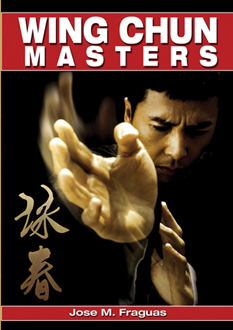 It’s a detailed reference work, and a “must have” addition to your personal library.